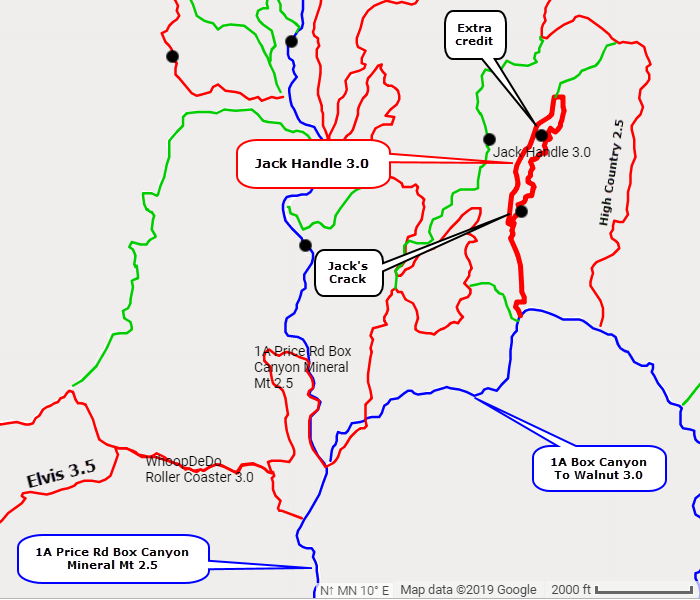 Jack Handle is a short Jeep trail with an obstacle called “Jack’s Crack”. You will need high clearance to climb the ledge entering this squeeze. 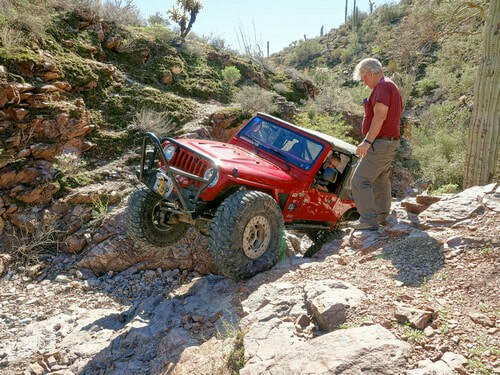 It is just wide enough for a Jeep JK or JL. 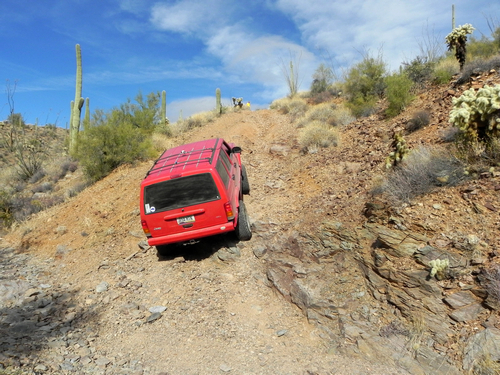 A few steep climbs and short ledges make the trail interesting. Narrow and brushy. Because this is a short trail, it is often run in conjunction with Elvis. There is an "Extra Credit" section of the wash that is bypassed by the normal route. Stay in the wash when the normal trail climbs to the right. This extra credit raises the difficulty rating a great deal. 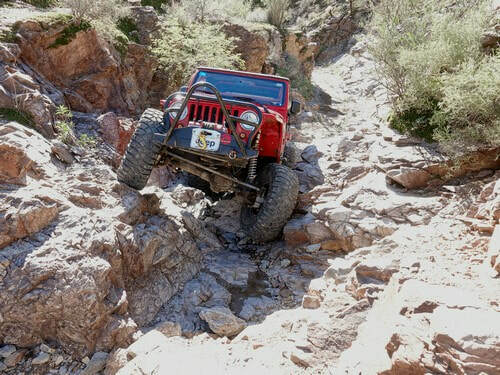 ​This trail is a loop - up the east side through the obstacles and down the west side on a ridge. Alternatively, you can turn north at the upper end and join High Country 2.5.